Apple Watch relies heavily on iOS Continuity features like Handoff to ease the load, in some cases transferring to iPhone complex tasks that require a keyboard or access to a full-fledged app. Not documented in the Apple Watch user guide, however, is the ability to transfer these same tasks to Mac. 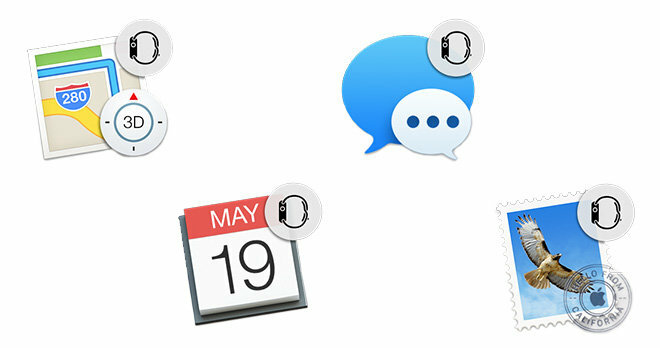 Conducting an Apple Watch-to-Mac Handoff procedure is very similar in form and function to Apple's existing Continuity features, which themselves enable Handoff from Apple Watch to iPhone. In fact, the process requires both an iPhone and Mac to function, each properly configured and networked, with Watch essentially serving as a remote control. First, Handoff needs to be activated on Apple Watch, as well as its paired iPhone and a target Mac. 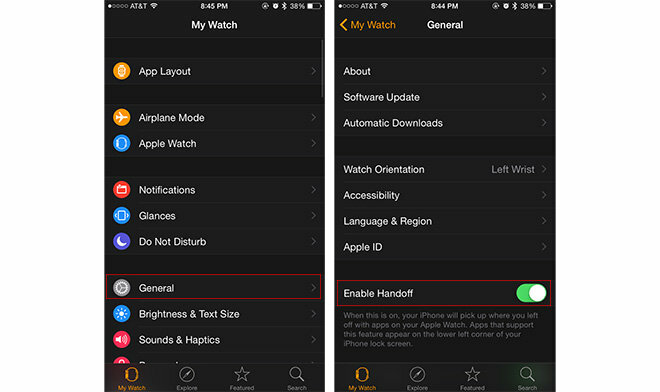 For Apple Watch, the option to toggle Handoff can be found in the Apple Watch iPhone app under My Watch > General > Handoff. For iPhone and Mac, the process is detailed in AppleInsider's step-by-step guide to enabling Handoff in iOS and OS X Yosemite. Once Handoff is enabled and all devices are associated with the same iCloud account and connected to the same Wi-Fi network, it's simply a matter of opening a compatible Apple Watch app. Current first party titles include Calendar, Mail, Maps and Messages. When a desired app is running on Apple Watch, its corresponding Handoff icon will appear to the left of the OS X Dock (or top, depending on Dock location), identical to iPhone and iPad Handoff procedures. 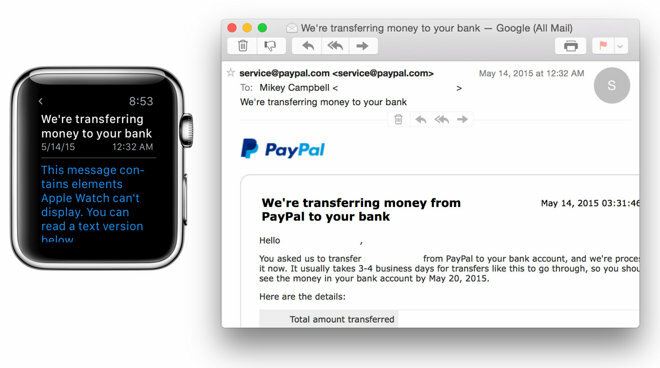 For example, opening an email on Apple Watch will invoke a Maps icon with small Apple Watch glyph on Mac. Clicking the Mail Handoff icon on Mac will open a Mail window for that specific message, as seen below. Users can also explore Maps queries in greater detail. 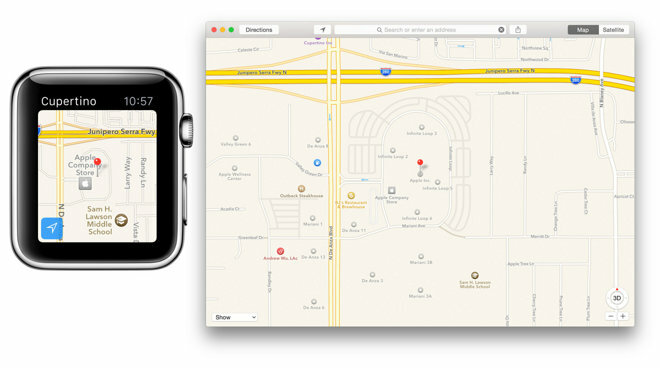 Opening Maps on Watch and searching for "Apple HQ," for example, drops a pin on Apple's headquarters in Cupertino, Calif. With Maps still running on Watch, clicking on the Maps Handoff icon on Mac will bring up a Maps window mirroring the location displayed on Watch.